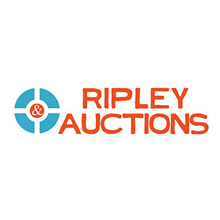 The company’s owner, Dan Ripley, is an internationally recognized, art and antiques expert with over 30 years of personal experience dealing at the highest levels of the industry. He is a third generation Indianapolis art dealer, a Certified Estate Specialist, and National Auctioneers Association member. He is considered a premiere decorative arts expert, and has been an award winning gallery owner, written feature articles for professional collector publications and a presentation speaker at the national convention of the International Society of Appraisers.